installed it myself, but got quote of $1,200.00 to install them, including getting rear calipers painted and bleeding breaks. I've been quoted $1800 to remove, bleed brakes, sandblast, paint red, bake and reinstall. H&R lowering springs, 2 new rear PZeros and Fabspeed Supersport X-Pipe exhaust with Fabspeed chrome tips. Will send pics when install complete. Really looking forward to a more aggressive stance and more aggressive exhaust tone (min is non-PSE). Still searching for 20" R compound tires. Not really a fan of the PZeros. 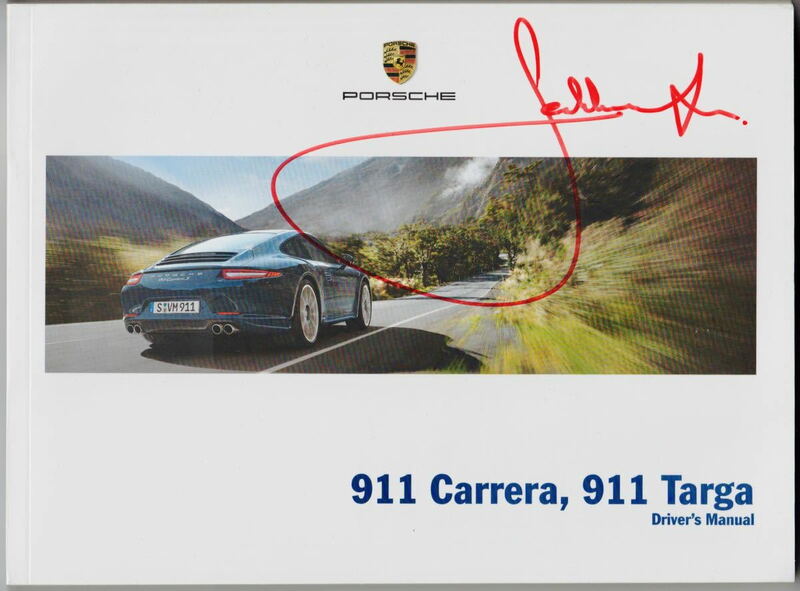 Jacky Ickx, 6 times 24 Hours of Le Mans winner, 8 F1 wins, Paris-Dakar winner and the best thing to come out of Belgium, signed my driver's manual. Very cool although there is something called Chimay that comes out of Belgium. 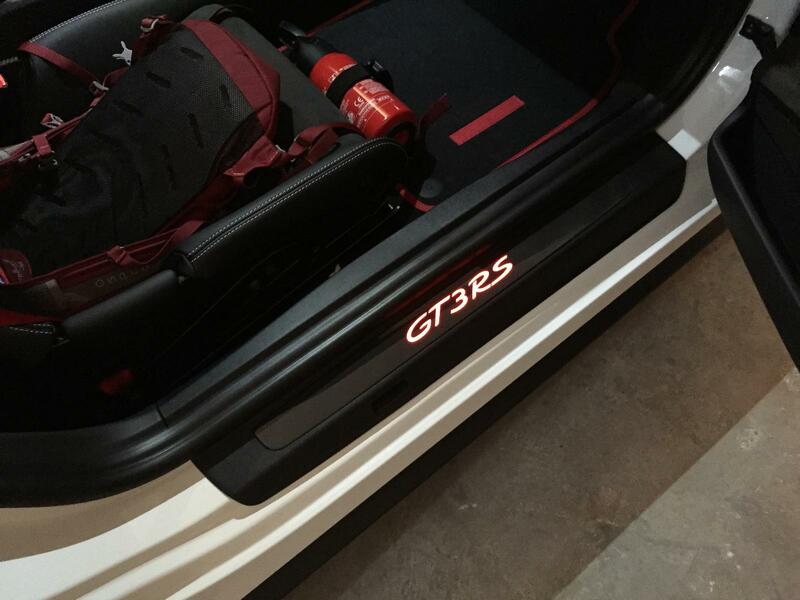 Decals Yes I know is not an R but at least is a manual. Last edited by 9914s; 02-24-2017 at 02:44 PM. Lloyds mats arrived today. 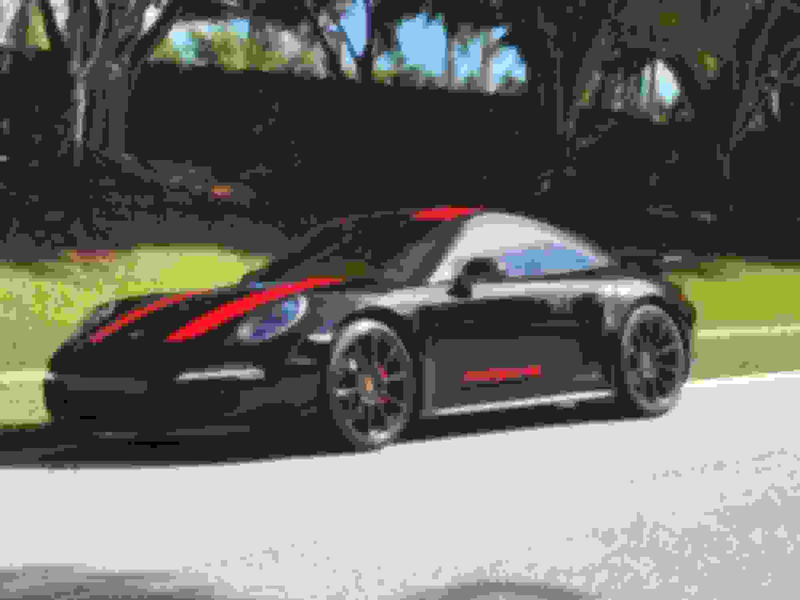 PORSCHE on fronts and 911 in RED on rear covering folded rears. Bought a new set of basic black floor mats to replace these garish ones. Pretty amazed that Suncoast had OEM mats delivered for $100 for a pair. Wow !! That looks awesome !! 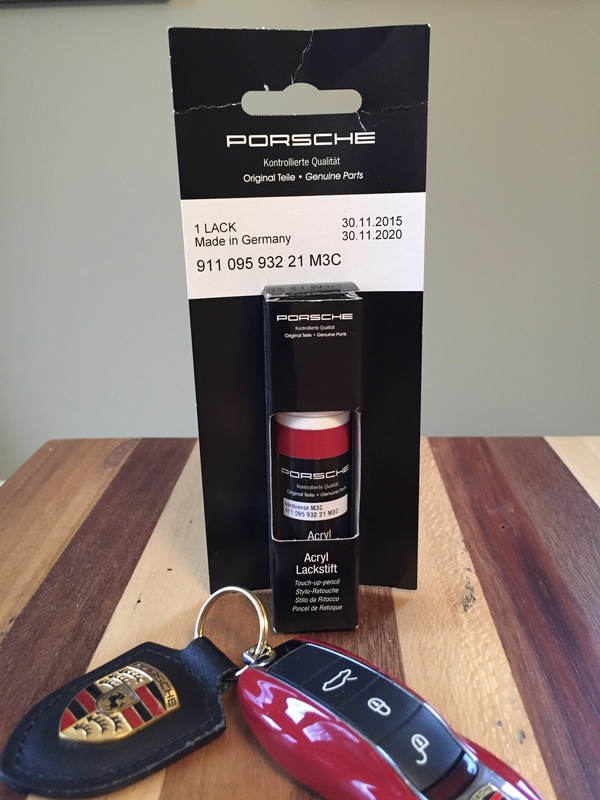 Touch-up paint - Carmine red $18 from the local P Dealership. Link? 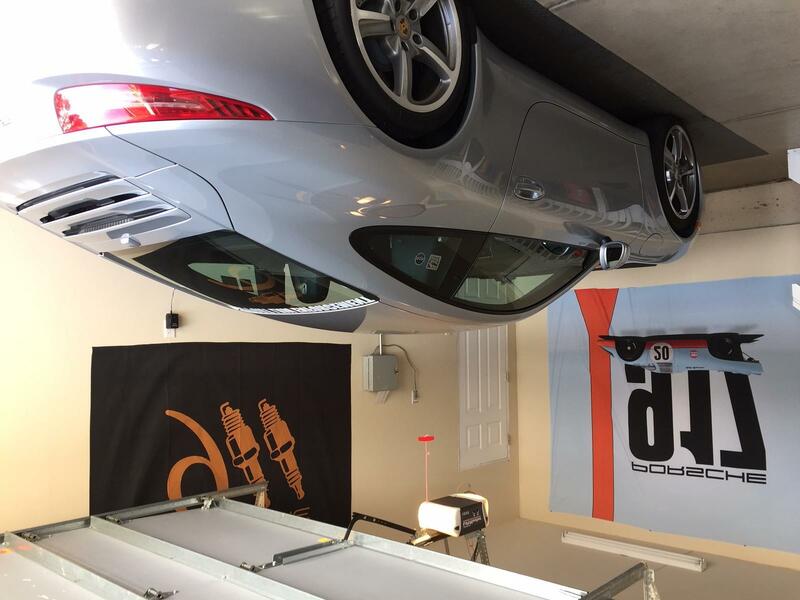 I'd like to hang my car from the ceiling too!